Fireplace facing pictured in Mocca Cream Limestone. 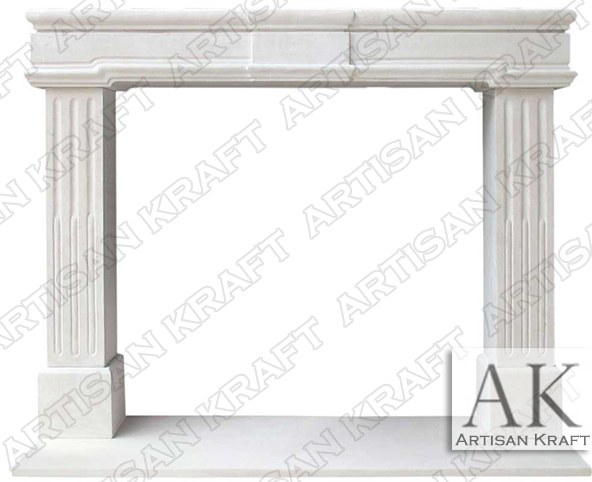 A simple traditional design carved from solid cream stone making the installation easier. A contemporary hearth and inner slips for the firebox are included with surround. Give the entire home a new feel by remodeling the facing install it today. The overall feel is almost Artdeco transitional. Reminiscent of the Art-Deco style in Los Angeles, California. Stone: Limestone, travertine, GFRC, sandstone, marble.